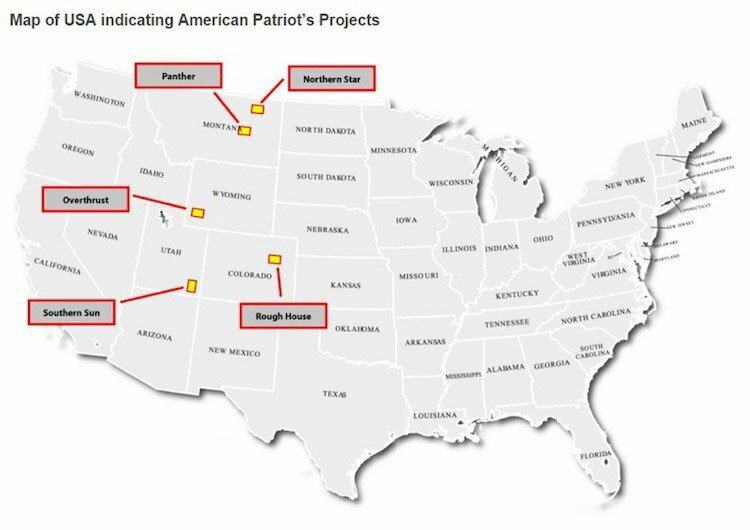 The first thing you should know about American Patriot (ASX:AOW) is that it recently knocked back its second takeover bid in the space of less than one year. One takeover bid in a time of chronic low oil prices is one thing, but attracting two suitors is a massive achievement and a validation of its business model. However, knocking back two offers because they were too low, shows that the management of AOW has faith in its business model no matter what the oil environment. Plenty of other oil plays have been swallowed up out of desperation to at least crystallise some kind of loss. Having mulled it over though, AOW and its shareholders found Running Foxes Petroleum’s (RFP) offer for its US assets which valued AOW at $35 million to be too shallow. The offer was for 22c per share, which is currently (at the time of writing) a 120% premium to AOW’s share price – and also a premium to AOW’s listing price. Suffice to say you don’t knock back that sort of offer unless you’ve got something up your sleeve. As you’ll remember from previous articles, RFP is a joint venture partner of AOW at a key project. So how do you form a stronger relationship with a company you’ve rejected? AOW has come up with a clever plan to boost its own fortunes and keep RFP onside: cement and expand the joint venture by working with RFP to acquire producing assets, with a view to exit once the price of oil scales back up to around $60 a barrel. 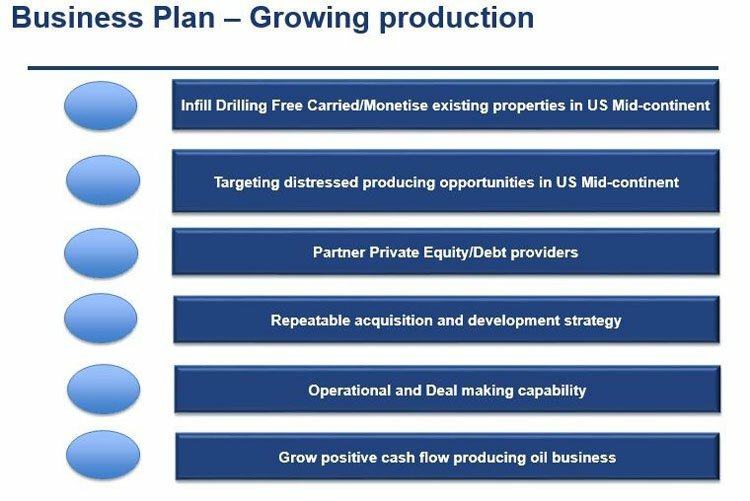 Essentially, AOW is building a producing oil business in the US mid-continent, focusing on low cost conventional production opportunities – building to 3000+ BOPD and monetising existing acreage. It’s a big play and AOW is hoping to have two acquisitions in the bag by the end of the year, which could further re-rate the company. However, there is no guarantee this will occur and investors should consult a professional financial advisor before deciding whether or not to invest. AOW and RFP are currently in due diligence on the first transaction so expect some significant news in the near term. With that in mind, it’s easy to forget that AOW also has an asset that it is about to start drilling. But that is exactly what it is intending to do as it looks to finish the year in a much stronger position than where it started. AOW has expanded its joint venture with RFP for the sole purpose of picking up distressed assets in the US. It’s a very, very smart play. Particularly when you see they are focused on picking up conventional drilling opportunities with infill drilling potential – this means the projects are economic at low oil prices and potentially producing significant cash flow if oil prices rise significantly. AOW itself is a pretty miniscule play – in fact it’s capped at under $20 million and its balance sheet shows that it had $3.9 million in cash at the end of the last quarter. That cash will more than likely be saved up for longer-term drilling commitments, as most of its free carries are front-loaded (meaning their JV partners drill up front and AOW comes to the party later). Although a capital raise is not out of the question if a takeover target requires money to be raised. For the most part, AOW can be helped by the deep pockets of RFP – which has just missed out on an acquisition opportunity. So, here AOW has a company it knows is in the mood for acquisitions. At the same time, AOW sees the opportunity in the US for growth and it wants to exit its investment in relatively short order. While AOW’s assets are good, they’re going to take about a year to provide meaningful oil flow. That means that organic growth is going to be a bit of a longer-tail opportunity. It’s definitely there, but AOW management has previously made very clear that it’s simply in this to crystallise an exit point above listing – and then it’s out. So, what’s the best way to achieve growth in the shorter term? By teaming up with RFP, AOW gives itself the best shot at getting in on the acquisition game without going through too much shareholder dilution or taking on debt – which is often used as leverage during takeover negotiations. On its own merits, teaming up with RFP on an M&A drive makes all kinds of sense for both parties and what they’re looking at in the short-to-medium term. It is an area that could be rife with distressed assets. So, in the US context (as you’ll read below), it makes so much sense it’s scary. To know why AOW’s plan is so smart, you need to go back to about 2011 . Back in the day US oilers were coming up with so much oil and gas through the economic application of hydraulic fracturing that OPEC was starting to get nervous. After decades of selling crude to the US, all of a sudden the US was on the verge of becoming energy self-sufficient. So, the overall pool of crude was growing at quite a pace. When an oversupply happens in the market, prices go down – that’s the way the market works. Usually when world markets get into that situation, OPEC will take steps to cut back production between its member nations to limit the overall pool – creating an undersupply. This ability is what’s given OPEC its powers over the years. In 2011, when it saw an oversupply in the market emerging thanks to the rise of US production it chose to do nothing . Almost overnight, the price of crude fell and it’s been at a low-ebb ever since. It turns out that US drillers have been quite resilient and have been able to survive prices in the $30/bbl region. Only those who stretched themselves incredibly thin in terms of debt repayments have been forced into Chapter 11. It’s why oil prices have been stubbornly low for the past few years. With prices actually going below $30/bbl earlier this year though, it seems the worm has turned and for a lot of drillers the resistance is over. It looks like asset sales, plain and simple. In June Bloomberg reported that the worm had turned , finally, and more assets were starting to appear on the market. It cited research from HIS Energy which found that as of April this year there were 49 asset-level transactions (excluding takeovers) worth a cumulative $12.7 billion. That was up from 35 deals worth a cumulative $6.5 billion during the same period in the previous year. The message of the piece is that companies who had stubbornly held onto their acreage during the worst of the downturn have now been backed into a corner. “Sellers are beginning to say, ‘You know what, I have to have liquidity; I have to have money or else my business goes down the toilet,” Forbes quoted senior editor of Oil and Gas Investor Magazine Darren Barbee as saying. There’s only so much cutting you can do in a business before you need to consider selling the company assets to stay alive. The Forbes piece also makes the point that lenders to these companies have also been giving them a gentle nudge to pay back their debt. So, what you’re starting to see in the US is a whole bunch of assets hit the market from what you may call “motivated sellers”. It’s what you may call a buyer’s market at the moment – and AOW wants in on the action. The goal is to acquire at $5000 to $20,000 BOPD and exit at $45,000 to $60,000 flowing BOPD. The strategy is to exit after three years, then rinse and repeat. In the long-term AOW wants to assess 15-20 deals per annum and execute close to three or four. It is still in the early stages of instigating this strategy and this fact should be taken into account when considering this stock for your portfolio. Seek professional financial advice for further information. Being a small company AOW doesn’t have much debt on its books – in fact, none, so it has scope to raise cash without diluting shareholders to pick up assets from distressed sellers. By teaming up with RFP, it’s ensuring it has a partner to do some of the heavy lifting as well. After all, AOW doesn’t want to leave itself too leveraged in the future either. So, what we have here is an opportune arrangement to take advantage of a distressed market to an extent which wouldn’t be wise if AOW was going it alone. We haven’t seen the extent of AOW’s acquisition ambitions yet – but we’re inclined to believe that a few companies are at least on the radar of AOW. AOW has always been much more a real estate play than an oil play. 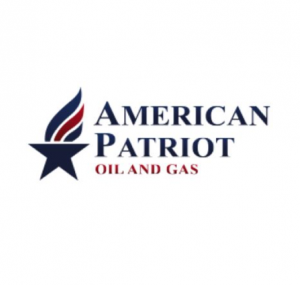 Seems odd to say that given AOW is listed as an oil and gas company, but go with us here. It then asks the more established driller to drill a few wells in exchange for a percentage of the tenement. The results of that drilling are then used to market the parcels to potential buyers. While AOW is on the hook for wells later in the program, it will only ever be on a pro-rata basis and there’s a distinct possibility that AOW would have sold up by then. Remember, at this point all AOW has done is pay for some seismic and a token entry price into the asset. It sells on future potential – a good spot to be in for a junior company such as AOW. So, what does it have on the plate? At the moment AOW has it foot on five projects in some of the hottest street addresses in US oil and gas circles. Its main plays are the Northern Star and Rough House projects, although the other projects remain on the slate, and AOW is talking to other operations about taking a controlling stake in return for free carries. Northern Star is a project where the interest has been so hot that it’s managed to bag not just one but two joint venture partners. The first is with Great Western Oil & Gas, which is essentially a vehicle for billionaire oil investor Pat Broe. GWOG currently produces something in the vicinity of 2200 barrels of oil per day and has 250 active wells – so it definitely knows how to bring wells to production. 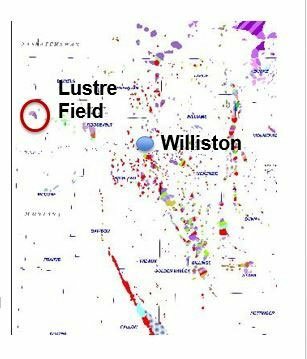 In exchange for a 70% stake, GWOG has agreed to drill two horizontal wells at no cost to AOW and a possible two further wells at pro-rata. The first well of that program has been drilled and while it didn’t come up as a gusher, there was enough there to indicate that drilling the second well wouldn’t be a waste of time. The interesting thing about Northern Star is that it’s playing in an area which was once the playground of none other than ExxonMobil. Wells drilled around Northern Star by Exxon in the past were successful – just not Exxon successful. For Exxon to put its full weight behind drilling it needs to have assurances that it can develop hundreds of wells in a particular play – it goes after big fish. It didn’t get that assurance, so despite the wells being a success the capital of Exxon was mobilised elsewhere – creating a fairly de-risked play for the likes of AOW to come into. Investors should note that no oil drilling is completely de-risked and it is an inherently risky activity – always consult a professional before investing. Those wells were tapping the conventional potential of the area, but what GWOG is interested in is the oil potential of unconventional horizons underneath the conventional. As seasoned oil and gas investors can tell you, where there’s conventional – more often than not you’ll find some kind of deeper source rock. But what about the conventional? Well, AOW has managed to swing a deal to have Anadarko Minerals, which has a project right next door, look at the conventional. This program is much on the same terms as the GWOG deal – except looking at the conventional which has hosted wells which, in the past, have produced up to 508 barrels of oil per day. Rough House in Colorado is much more a conventional play than unconventional – with it being a classic case of nearology. Here it’s in joint venture with Running Foxes after attracting it to both the asset and luring it into a bid for the whole company – suffice to say it’s got to be a pretty damn good asset. 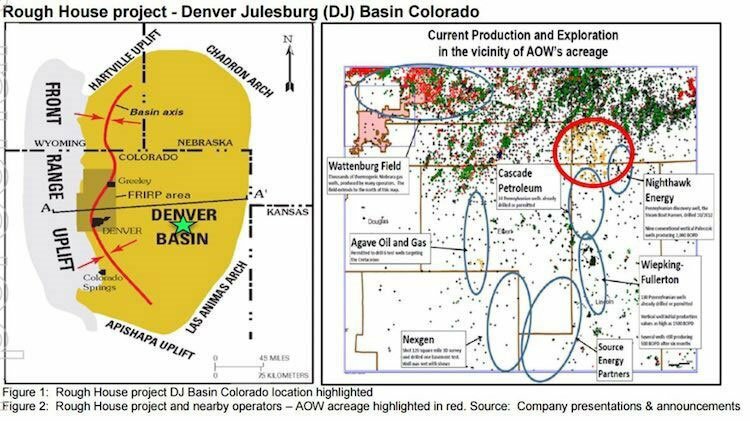 What AOW did was to package up some seismic data it got for free – combined it with a map of drilling nearby and just from that was able to get a takeover offer. From that, AOW was able to extract a five well commitment out of RFP, with RFP to free carry AOW on the first two. It recently said that it would start drilling at the project “shortly” – it previously said it would drill in the third quarter. In any case, there should be drilling to keep shareholders interested in the near term. AOW is in a really interesting phase right now. It’s flipped the script on its head and instead of becoming a takeover target has moved into asset acquisition mode. It’s interesting to see, and a check in management’s box that it’s managed to allay the disappointment of its spurned JV partner by inviting it to be part of the action. The overall game plan remains in play, though. Get the assets, work them up, attract a takeover offer, get out. Right now, it’s realising that it needs to beef up its portfolio to attract a bite which is worth AOW’s while. Should oil remain steady or even rise from its current levels, AOW could start to look very, very attractive once more – especially with an expanded portfolio.